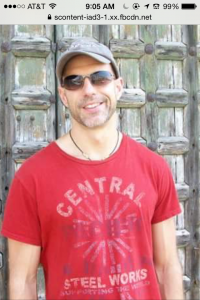 My name is John and I have created this site due to my love of travel and my interest in foreign places and cultures. Even as a child I would spend hours looking at maps and world atlases, imagining what kind of people, things and landscapes I would see if I went to those places. Islands and a fascination with the sea particularly captured my imagination. As a young man, my desire to travel and explore became a reality when I went abroad to study music in Europe. After living in Germany and Austria for about 7 years and traveling extensively around the continent, I continued to return to Europe every summer to participate in music festivals and to travel, usually to a new place or country each summer. Joining a sailing club and a travel club took me to the Caribbean and Africa. I am now married and a somewhat older father of two young children, ages 2 and a half, and 9 months. Besides regular visits to the grandparents in Texas, Florida and Utah, we don’t get around much anymore. I am sure there are many who are in the same situation, or have other reasons for not being able to travel or go on exotic vacations. I decided to create this site to help myself and others explore the cultures, cuisines, music and stories of interesting places near and far, and I have decided to focus mainly, perhaps exclusively on islands. My island experiences are somewhat limited in comparison to my other travels, but highlights include Santorini and Mykonos in the Greek islands for our honeymoon, the British Virgin Islands from sailing trips and, I suppose, Venice, where we got engaged. I would also imagine that Manhattan, where I lived for 11 years would qualify. I am a classical musician by profession and have participated in many summer festivals and academies of all sorts as a pianist, vocal coach and music director. I have always wanted to combine my love of travel with my music and have been interested in one day creating a sort of moving music festival that takes place on a different island each year. Perhaps this is a first step towards creating this some day. This is a reason that I want to make the music of each place a part of this site. I plan to explore an island or group of islands every month. Each profile will be different, but is likely to include music, cuisine, sights and interesting or practical information. I am hoping the site will appeal to armchair travelers as well as those ready to go out and embark on an adventure. I am obviously not an expert on every place in the world, but would like to be! That means I would love to hear from others who are willing to comment or contribute.